RAILROAD.NET • View topic - Passage Between 34th/Herald Square and Penn Station? Passage Between 34th/Herald Square and Penn Station? If there really was such a beastie, when and why was it closed? I highly doubt that it ever existed,if it did, it wouldn't have closed,but I may be wrong though. The reason I think there's no transfer today though is because there is no where to put it, you have an aqueduct,the lirr/njt,path,6th ave and bway subways all crossing over each other. This indeed existed, however it was closed for safety reasons. It was too long an enclosed space and was prime pickings for scum. Well what jlr3266 said was used as an excuse at the time, but I recall another issue being that nobody wanted to pay for maintenance. If my memory is right, the MTA didn't own the tunnel. There are other tunnels just as long that are open- with or without "scum." 7th Ave to 8th Ave at 42nd Street, 5th to 6th at 42nd Street, 6th to 7th at 14th Street, and the transfer from the G to the E at Court Square for example. Come to think of it, the tunnel from the subway to the PATH at Herald Square is pretty "scummy," but it beats going up, out, and down, especially on rainy/snowy/100 degree days! I guess the boarded-up doorway in the tunnel between 34th street and the PATH station was the 6th Ave end of this, does anyone know where in Penn Station end was? I traveled through that tunnel years ago, long before I was even the slightest bit interested in the rails. Unfortunately, my memory escapes me where in the NYP dungeon the tunnel led to. The tunnel ran from Penn Station to the PATH. It was referred to as Gimbel's Alley by railroad employees. It ran under 32nd Street. 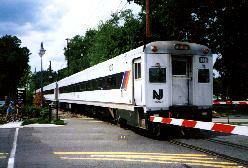 It was owned by the Pennsy and then it's decendants, Penn Central, Conrail and then NJT. Don't know when it was closed, all I remember was patrolling it when I was a PCRR Police Officer. Does anyone have pics of this tunnel and can this tunnel be reopened and put back into service? I would think this link would be very much needed today with the other tunnels being packed with wall to wall commuters. This could be used to releive congestion. What would be the problem of reusing it? The tunnel ran from the IND 6th Ave Line (34th St/Herald Square)entrance mezzanine to the IRT 7th Ave Line (34th St/Penn Station) entrance mezzanine. The tunnel entrances were outside the subway turnstiles, so it was a little more likely to be populated by low-lifes. Gimbel's Department Store had a half-dozen or so show windows in the tunnel, which gave a little more of a civilized feel to it. Thank you very much, devbeep2! Thank you for the photos. This loo ks like a tunnel that needs to be put back into service immediatly but there should be major modifications such as it being ADA accessable, equiped with cameras police officers from the NYPD, MTAPD and NJTPD to frequently patrol it. This should also have movable sidewalks and to be widened as well. If planned right this can be like the tunnel under Atlanta's Hartsfield Int that can access Terminals and walk along the underground tram line only except it will connect PATH to NYP. With beautiful tile and lighting work like the MTA did for the Atlantic Ave Station in Brooklyn this will be a success. But I emphasize that this does need movable sidewalks and elevators/escalators. NJTRailfan, that's very uh, optimistic-sounding of you, but I don't think it would be possible. The tunnel section I found started at 6th Avenue under the south sidewalk of 33rd Street and went west for less than half a block (about the size of the Manhattan Mall/Gimbel's) before ending at a concrete wall. I don't know what happens from there to 7th Avenue, but the tunnel seems to have been shut down in the late 60's, coinciding with the construction of MSG (33rd from 7th Avenue to 8th Avenue). A quick walk down that block (looking at the ground) will show you the ventilation structures that were sunk into the sidewalk in that area, surely in the space that used to be this pedestrian passageway. Devbeep2 Thanks for the info. This would be another great reason to demolish that poor excuse of architecture called MSG and rebuild NYP. jnewman wrote: I guess the boarded-up doorway in the tunnel between 34th street and the PATH station was the 6th Ave end of this, does anyone know where in Penn Station end was? UpperHarlemLine4ever wrote: The tunnel ran from Penn Station to the PATH. It was referred to as Gimbel's Alley by railroad employees. It ran under 32nd Street. 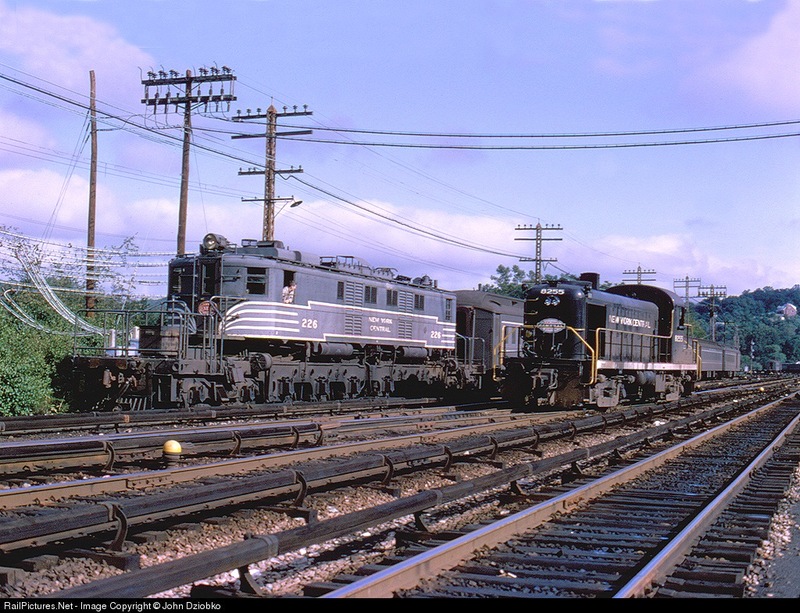 It was owned by the Pennsy and then it's decendants, Penn Central, Conrail and then NJT. Don't know when it was closed, all I remember was patrolling it when I was a PCRR Police Officer. Actually, the tunnel ran under 33rd Street (access to Gimbel's was from the north side of the store, not the south side). The Sixth Avenue end is behind that locked metal door. The Penn Station end is no longer visible since the renovations a decade or so ago. It is behind the tile wall with the Metrocard machines at the 33rd street entrances to the northbound local platform (which still serve as an entrance to Penn Station from the east side of 7th Ave at 33rd). In olden times, when that tunnel was still open and the Sixth Avenue mezzanine level connecting 34th and 42nd street stations was still open (with the entrances at 38th Street), it was possible to walk undergound from 40th & 6th to 31st & 8th - no doubt the longest legal underground walk in Manhattan.